Janus is a 41 year old primary school teacher and creator of the Write to Read app. Janus has taught Danish language, mathematics, natural science and sport at primary schools in Odense, Denmark since 1996. In 1998, he became actively involved in developing several teaching resources for mathematics and the Danish language, and was awarded first prize for “Best Teaching Resource of the Year” by the Danish Ministry of Education in 2007. Janus has lectured for the past 15 years on teaching children to read and write, math for beginners, teaching in workshops, differentiation in teaching, learning styles and student evaluation. In 2010, he started the project “Write to learn to read” in his Danish language class in primary school, which lead to the development of the Write to Read app. The following year Janus was given a grant by the Danish Ministry of Science, Innovation and Higher Education to conduct scientific research on the app and its benefits. The Danish and English language versions of the Write to Read app were developed and launched in January 2013. Associate professor, PhD, Department of Education, Aarhus University, Denmark. MA in Danish, philosophy and computer science, columnist, lecturer and software developer. In 2005 Jeppe submitted his PhD dissertation “Contributions to ICT-Didactics in the Danish Subject” to the Danish School of Education and was engaged as an Assistant Professor in the area of communication competences. 3 years later Jeppe was nominated Associate Professor at the Danish School of Education where he now does research and teaches in the area of educational theory in relation to the Danish subject and digital learning material. Jeppe is currently doing research in the use of ICT in relations to teaching methods and professional competence both generally and specifically in relation to teaching Danish. Jeppe is an active debater and a popular lecturer on the subjects of ICT and iPads as learning tools. 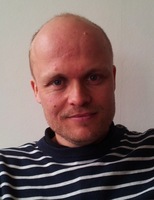 In 2011-2012 Jeppe functioned as head of research on the project “Write to read” that followed, and studied the development of the Write to Read app. Kjeld has been a schoolteacher for 28 years and has been employed at the teachers college in Nuuk, Greenland. He obtained his PhD in 1999 with a thesis on the written language and starting school. After this he was engaged as lecturer at The Institute of Curriculum Research. He has done research in reading and writing with particular interest in the learning strategies and the environmental conditions that leads to obtaining the skills of reading and writing before starting school. 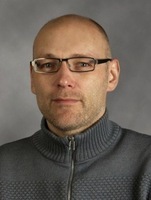 Kjeld has done empirical based research on informal written language in both Denmark and Sweden. 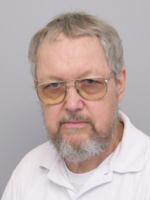 Kjeld has published a vast number of articles on development of language, learning to read and reading evaluation and is still active in freelance scientific research as well as an author. Anders completed his education as a schoolteacher in 2004 and in 2008 he completed his master in pedagogy. Since 2009 Anders has been a PhD student at The Danish Department of Education, University of Aarhus and was engaged as scientific researcher on the project “Childhood, Learning and Didactics” while he completes his PhD. The project concerns literacy and the pedagogy of literacy in day care institutions, after school care and primary schools. Anders is a frequent blogger on the subject’s literacy, pedagogy and didactics in relation to kindergarten and primary school teachers. Babar has over 8 years of experience in operational and strategic marketing. He has previously worked with Danish Telecom (TDC), The Society of Danish Engineers and Vopium and is co-founder of one of the world’s first independent app stores. Babar provides online and mobile strategic consultant services to several Danish companies and has been project manager for the Write to Read app since the summer of 2012. For the past 10 years, Ulrik has focused on investing and/or actively managing on both the operational and strategic level tech start-ups. Ulrik is currently an investor and board member on several small tech firms in Denmark. One of his most recent investments, the Danish company, Podio, was acquired by Citrix (NASDAQ:CTXS) in 2012. WriteReader Aps is a Danish Edu-tech company established in 2012 by three pioneers within thier fields. The company´s aim is to launch digital learning products with a scientific approach and in corporation with Danish and international scientifc researchers. 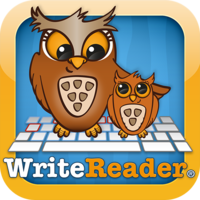 Write To Read is the first app launched in early 2013. An Article to be published in 'Computers & Eductaion', Volume 67, September 2013, which presents and tests the ICT-based Write to Read method: learning to read by writing. Kjeld Kjertmann, (Ph.D, Associate Professor (retired), Department of Curriculum Research, The Danish University of Education) explains the educational theory and scientific research behind the Write to Read app for iPad.